Sensational singers and elite musicians, oozing star quality, charisma, and style. This premier party band seamlessly combine talent, music, and fashion to create an electrifying stage show. Known for their unrivalled professionalism, and unparalleled high energy performances iPop are the band of choice for major global clients and luxury events all over the world. iPop are experts in Corporate entertainment. The band are regulars at high end corporate events and private parties all over the world. Entertainment is a huge part of any wedding day. iPop will make sure that your band is talked about for years to come – for all the right reasons! With their invaluable experience, iPop are able to offer their advice and tailor your entertainment to suit you and your event. Choose from a 5 to 16 piece band. When you book iPop you are in good company. The band perform at prestigious events across the globe for major corporate brands, luxury weddings and exclusive private parties. “We booked the 8 piece band for our wedding on the 14th April 2018 in Exeter and we couldn’t say enough good things about them. They were simply incredible and our family and friends were talking about the band for days, if not weeks, talking about how good they were. iPop is have a great line up of musicians, we had the 8 piece but you could have a smaller line up and pick your favourite line up. We had the sax player as part of our 8 piece and she blew everyone away! They have a HUGE repertoire. It includes so many different songs and we picked our favourites. Suzanne is amazing! Quick to respond to any email, easy to communicate with and just plain lovely. We wanted a band to come self contained, and iPop can be booked with their stage lighting and full PA/sound system, which was great. On the day, the band were simply amazing, they looked great, their performance was incredible. They were also interactive with the crowd which everyone loved. We didn’t want them to stop and we really wished we didn’t have a music curfew of 11.30pm! iPop is made up of some of the UK’s top session musicians, all of whom have extensive music industry experience. Band members have performed all over the world with international superstars including Kylie Minogue, Ed Sheeran, Rod Stewart, James Arthur, Imelda May, Cee-Lo_Green, Pixie Lott, Gary Barlow, Badly Drawn Boy, The Backstreet Boys, Ellie Goulding, Kelly Rowland, The Lighthouse Family, Westlife, Take That,Robbie Williams, and many more. Take a look at the CREDITS page to see a few cool highlights. You and your guests will be dazzled by iPop’s dynamic performances and wonderfully rich, professional sound, as they recreate the very best pop, R&B, & dance anthems of all time. Their killer playlist will bring every audience to their feet. Luxury party band iPop are available from a smaller 5 piece party band to a 16 piece ‘symphony’ show band. Their cool, modern line-up options include multiple vocalists, sax or brass section, violin or string section, piano, percussion, dancers, & DJ. Celebrated for their true professionalism, expertise, and undeniable stage presence, iPop are the party band of choice for luxury events and major brands across the globe. When you book this highly established band for your event, you are guaranteed high quality entertainment that truly delivers. 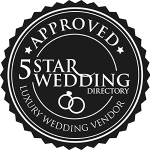 Take a look at some of their previous bookings for weddings, parties, and corporate entertainment around the world. iPop bring charisma, glamour and unparalleled energy to every event. Combining talent, music and fashion to create something truly spectacular. Guaranteed bring your event to life. iPop are the band of choice for exclusive, luxury events worldwide. iPop perform at over 100 top corporate events, product launches, award ceremonies, private parties, and luxury weddings every year and are renowned as one of the most in-demand and established party bands of their kind. Spectacular on stage, iPop’s vibrant performances never fail to get everyone on their feet. Watch some of our performances below.